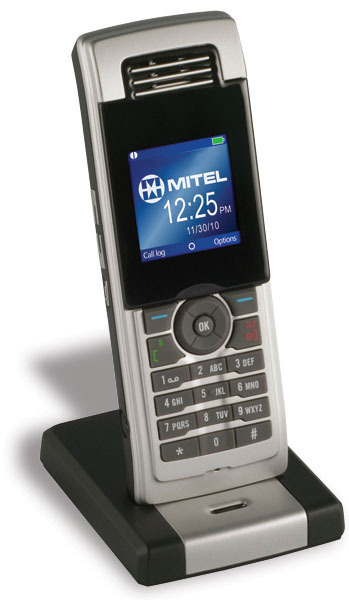 Pair your desk phone with the Mitel 5610 DECT wireless phone and base station... and also connect up to 7 additional base stations and cordless telephones to a single extension. This SIP-based telephone provides cordless freedom to health care, manufacturing, construction, education, retail, hospitality and security mobile workers. The backlit display and navigation keys allow workers to use the 5610 without compromising access to core telephony features. Integrated wireless headset and handset with full work day battery life and 150' indoor range. No lifters required - all of the controls are electronic. Our trained consultants will be able to help you uncover applications where cordless accessories can improve productivity and benefit your employees. Cordless handsets and headsets can also help your firm avoid problems with neck strain and other commonplace work injuries.